I have a personal interest in the US Navy because I was once a serving officer and could be considered a Naval hobbiest today. That's not an insulting term to me. It's accurate, though many former active duty types feel that the term is somehow demeaning. The "I've pissed more salt than you've sailed over" philosophy holds - sometimes. Because I care, I hate to see the service mismanaged the way it was during the years of ObamaNation. It can be put back on a better and firmer foundation but sometimes that vision needs to be a bit 'wider'. 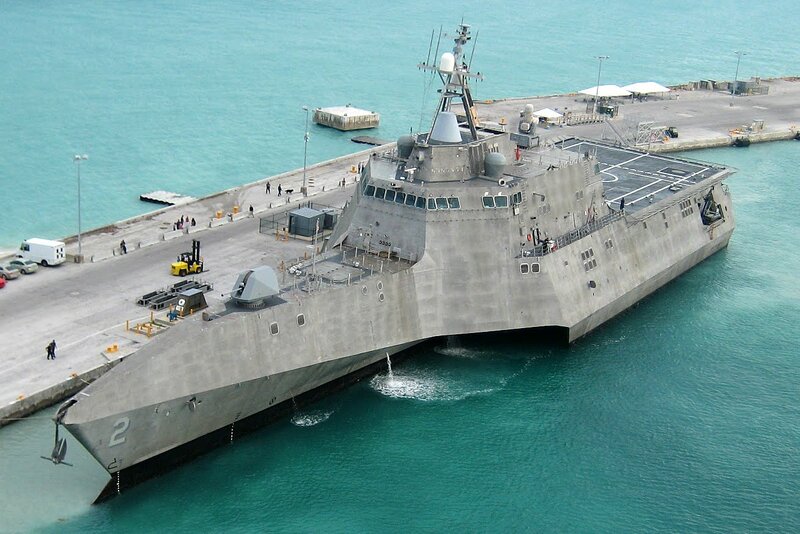 The US developed the generally useless (but said to be very 'progressive') Littoral Combat Ship (LCS). It can't defend itself; it's very accoustically 'loud' and is dangerous to use for special warfare/SEAL operations for that reason; it has a very short operational range; there are manning issues because the crew it carries are not adequate for sustained high intensity operations; many of the modular suites of sensors and weapons haven't become available ten years later and may never be because of massive cost overruns, etc. Construction of a large number of follow on units for both variants needs to be canceled and the US needs to find a useful alternative that can fill the "fast frigate" mission. The French/Italian designed FREMM would seem to be the most capable and least expensive (already designed with R&D complete) platform on which to base future purchases. What would we do with the LCS? I honestly don't know. Paint them white and sell them to the US Coast Guard? We can't forward deploy them to hotspots without supporting them extensively to protect them - which brings me back to the point of "what use are they"? They could patrol the US Coast and fill a Coast Guard Cutter role, but the USCG won't want them, even with white paint. I wonder if North Korea is in the market for brand new second hand US Navy ships? I am not a fan of the F-35 primarily because like it's sister, the F-22, it has a 50% (at best) readiness rate, and it's MASSIVE COST. The F-18 readiness rate has been plagued by a lack of spare parts, so the problems with that aircraft is not so much a fault of the platform as it was a fault of the budgeting capacity. The AV-8B had a 90% mission readiness during Operation Desert Shield/Storm and it costs $100 million LESS per aircraft (at $20 million) than the F-35 does. Though it may be said to be 'taking a step backward' in technology, I feel that the US Marine Corps would be well served buying A-10 Thunderbolt 2 (Warthog) ground attack aircraft to fill its ground-attack missions. The Warthog is not designed to be flown from aircraft carriers or in a VSTOL mode, but it's mission flexibility in ground support missions makes up for its limitations in traditional "Naval Service" scenarios. The F-35B has issues operating from 'battlefield airstrips' in its VSTOL mode. you can read more about that and other related problems here. The Navy and Marine Corps envision F-35B/C aircraft in a ground attack role and while magical thinking works in the Pentagon, it rarely translates to operational realities. The F-35 burns twice the fuel of the A-10 or the AV-8B; is less reliable and is massively more expensive. I agree that there are high threat environments where the F-35 shines in comparison to its less sophisticated brethren, but the Navy is pushing for an all-F-35B force for the Marines and that's --- stupid and expensive. Development of the F-35 or it's replacement needs to move forward IMHO, but the service needs to provide more realistically operational aircraft to the Marine Corps in the VSTOL and ground attack missions. Or do y'all think that I'm completely full of it? I mean, more than usual.